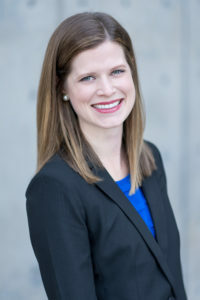 Charlotte Fletcher joined Slates Harwell as an Associate in 2017. She is experienced in aiding clients with business disputes and complex commercial matters. Charlotte began her legal career in Tulsa, where she represented commercial clients in civil litigation, as well as handling entity formation and corporate governance matters. Prior to joining Slates Harwell, Charlotte worked for a boutique commercial litigation firm in Dallas where she gained extensive experience in litigation and trial preparation. Charlotte’s current practice includes representation of clients in all areas of the construction industry, including owners, developers, general contractors, and sureties, in construction related disputes. Charlotte is an Arkansas native who lives in Dallas with her husband, Will. When not practicing law, Charlotte enjoys running, traveling, and exploring Dallas.